Help us raise $2,500 to make 3D printing more sustainable. 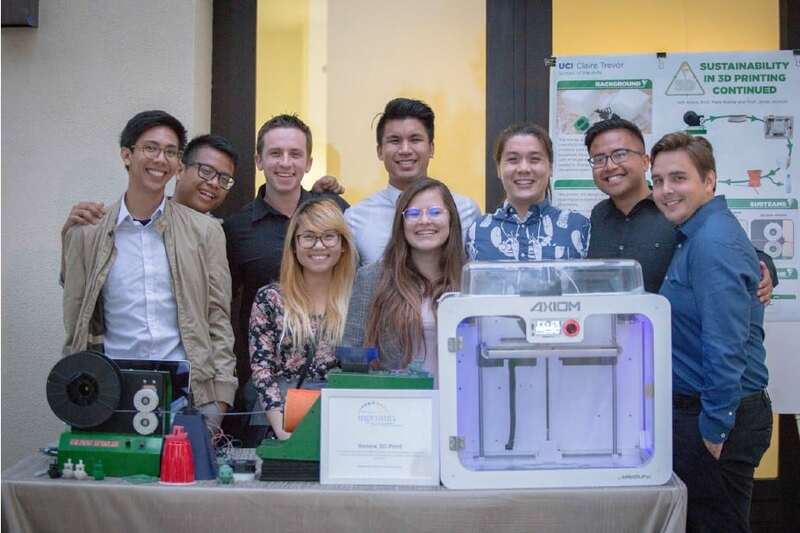 Closed Loop Plastics (CLP) is a green startup initiative at UC Irvine. As consumer interest in 3D printing grows worldwide, CLP has found a way to make the process more sustainable by developing printer materials from recycled waste plastic. 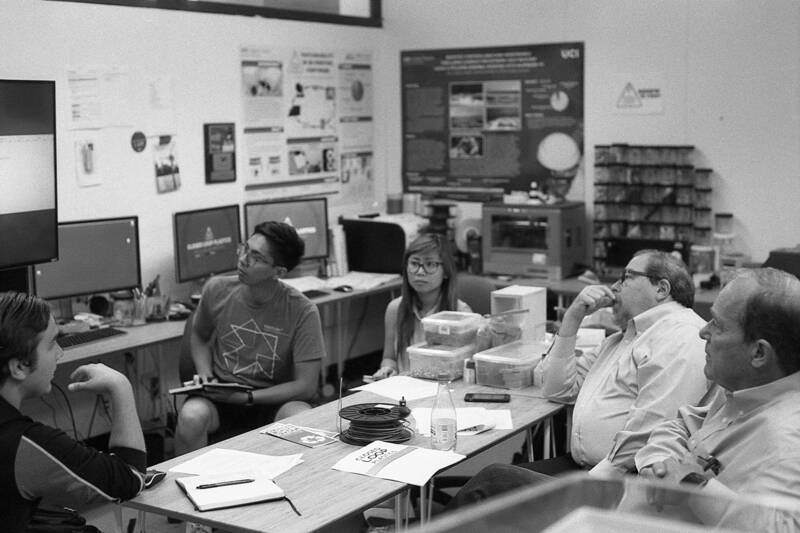 Bringing together arts and engineering expertise, CLP is an initiative of professor Jesse Colin Jackson's Speculative Prototyping Lab in the Claire Trevor School of the Arts. The project is led by recent UCI graduates Will Amos (Env. Eng. ‘17), Aldrin Lupisan (Env. Eng. ‘17), Tucker Moody (Art ‘17), and current students Sharon To (Comp. Eng. ‘18) and Ivette Morales (Art ‘19). Closed Loop Plastics at the 2017 UCI Student Technology Showcase. How does CLP make 3D printing more sustainable? People use consumer-grade 3D printers to make objects of all kinds from a plastic material called “filament.” Spools of filament are currently sourced from scratch, but CLP has developed technology to produce this material from everyday plastic waste instead. Compared to other recycling processes, making filament from plastic waste (think cups or packaging) is small-scale, quick, and low-energy. CLP will make 3D printing more sustainable by bringing high-quality recycled filament to a growing market of consumers. 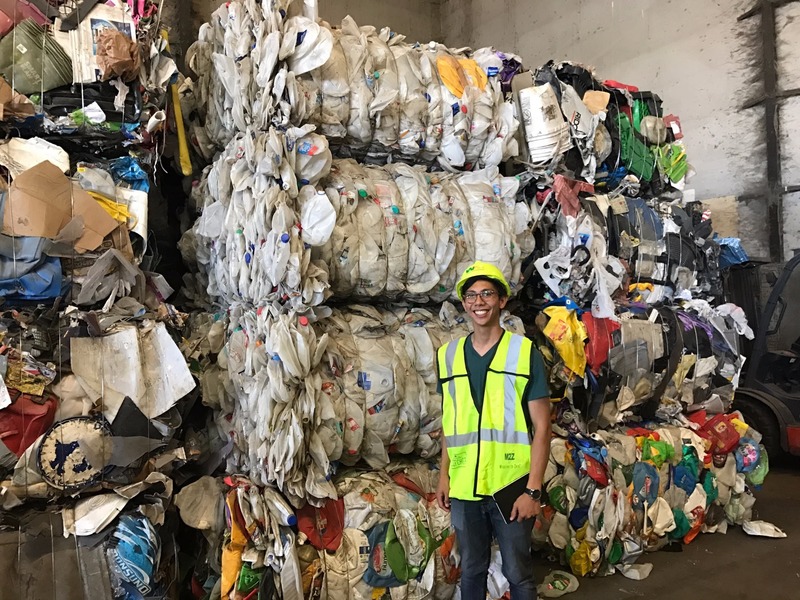 Aldrin Lupisan at the Waste Management Orange County Materials Recovery Facility. What has CLP achieved to date? 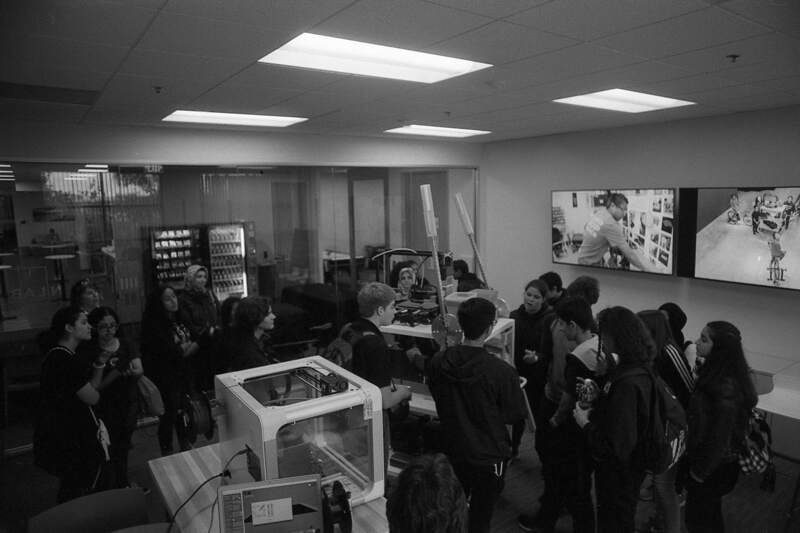 CLP’s prototype has been showcased in several UCI initiatives, including during Earth Week, TEDxUCI, UCI’s Senior Design Review, the Beall Center for Art + Technology, and the the Beall New Venture Competition. Externally, CLP won an honorable mention at Texas Christian University’s Values and Ventures Competition. CLP has received extensive online attention and been featured in The 3D Additivist Cookbook, the Earth Island Journal, the Los Angeles Times, and Interface. CLP co-founder Will Amos was awarded one of six national Brower Youth Awards for Environmental Leadership. 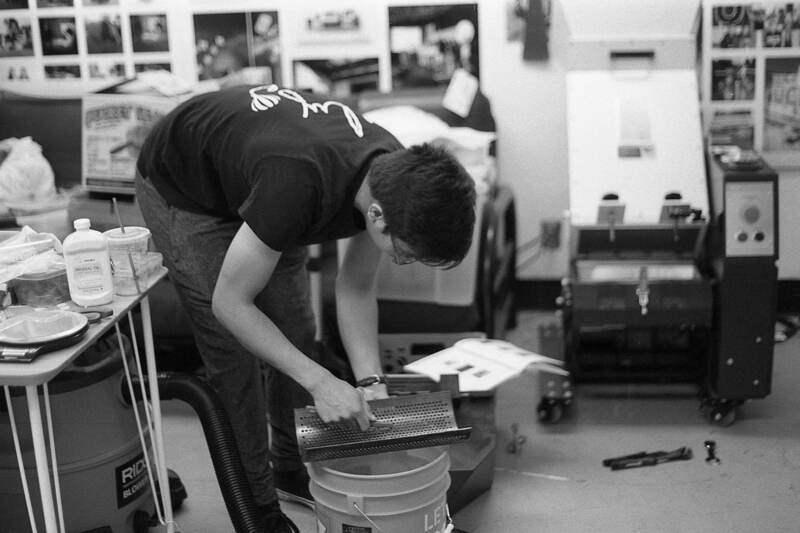 Aldrin Lupisan cleaning out a granulator screen. Why does CLP need your support? Situated at the intersection of sustainability science, design innovation, and social practice, Closed Loop Plastics is already demonstrating how turning waste into useful material can make an emerging technology more sustainable. Closed Loop Plastics has transformative potential, but producing the volume of filament necessary to gain a real foothold in the 3D printing market requires your support. Aldrin Lupisan giving a workshop to middle school students on entrepreneurship. Who else believes in CLP? Will Amos, Aldrin Lupisan, and Sharon To meet with Cove Fund representatives. You've helped divert over 10 lbs. of plastic waste from polluting the planet. Thank you! You've helped divert over 26 lbs. of plastic waste from polluting the planet. Amazing! This will help divert over 55 lbs. of polluting plastic from the environment. Amazing! You're gonna help divert over 220 lbs. of plastic from polluting the environment. That's about as heavy as two octopi! Thank you from the bottom of our hearts. This will divert over 550 lbs. of plastic waste from polluting our oceans. This is about half as much as a polar bear weighs! This is gonna divert over 1,100 lbs. of plastic from destroying our natural resources. This is about 3.5 panda bears worth of plastic...and for that we shout our THANKS! CALIFRAGILISTICEXPIALIDOCIOUS!!! This is like waaaayyyyyy more than 2200 lbs. of plastic that are definitely not going to end up in our precious marine environments. That’s about 2 blue whale hearts worth of plastic, and by your generous gift, as big as yours. Thank you!